Since this is an awfully big question that can be interpreted in many different ways, let’s start with a bit of level setting. 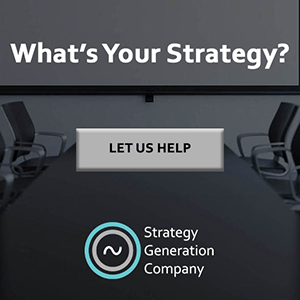 Whenever someone refers to “strategies, tactics, and operations” or “strategies, tactics, and execution,” I assume they are talking about some type of an overall strategy that essentially consists of those three basic parts. That is, an overall plan, individual actions, and some way to bring those two things to life. With that interpretation, I am going to assume this question is asking about what overall strategy a product manager can take to be successful in his or her role. Most job descriptions will fall somewhere on the spectrum between pure “planning” roles and pure “doing” roles – with the former usually being referred to as more “strategic” roles, and the latter usually being referred to as more “tactical” roles. While some jobs may lean more toward the strategic end of the scale – such as a CEO or a General Manager – and other jobs may lean more toward the tactical side – such as a developer or a production role – most will fall somewhere in between. The question is, where should a product manager sit on this scale? In my experienced opinion, I would say that the role of product manager should sit squarely in the middle. The problem is, if you talk to most product managers, they will probably tell you that, although they would ideally like to be more strategic in their roles, they just don’t have the time. In other words, the tactical reality of having to “fight fires” all day hampers their ability to be more strategic. And, although I both understand and appreciate this reality, I don’t necessarily believe it is a situation that is outside of a product manager’s immediate span of control. I think one of the reasons product managers may feel they don’t have time to be more strategic comes from the false idea that being strategic actually takes a lot of time to begin with. And that comes from the idea that a strategic plan automatically equals something that is written, formalized, and overly cumbersome. 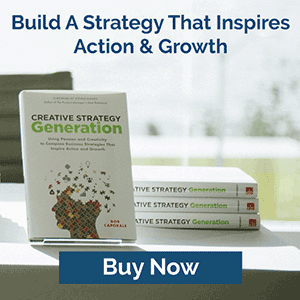 Yes, strategy can come in that form – but only if the situation requires it. And, frankly, most product strategies simply don’t demand that amount of rigor. The purpose of a strategy is to provide context for your actions. It’s really as simple as that. That context comes in the form of understanding your situation, determining your goals, and providing some high-level guidance of how you are going to accomplish your goals given your situation. The more people that require that context, the more formal your plan will ultimately need to be. So, if you are the CEO of a large corporation with thousands of investors making decisions based on the strength of your plan then, yes, your strategy is going to have to be quite comprehensive. But if, on the other side of the spectrum, you are a solopreneur with nobody to answer to but yourself, your plan could effectively reside within your own head. Product managers are somewhere in between those two extremes. As a product manager, you will definitely need to communicate and articulate your plan to others. But that can be in the form of 10-20 high-level slides, or even a really compelling but easy to understand narrative. You’ll still need to do your homework and, as we say on this show a lot, “make time for the plan,” but you won’t need to spend all of your days analyzing and formalizing every detail of what you ultimately want to do. Just look at your company, your customers, and your competitors, determine what you need to do, and lay out a simple plan of how you want to do it. And then make sure that plan serves as a guide for every action that every person in your company takes with respect to your product line. That last part is the key – make sure that every action is aligned with your plan. A lot of times, the fire-fighting that is typically associated with a product manager’s role is caused by people outside of that function not having a clear enough view of the overall product strategy. In other words, many of the requests you receive every day as a product manager could probably have been pre-empted by letting a few more people in on your plan. Pricing Issues – What if your sales team knew your planned floor and ceiling prices and, more importantly, why you set them the way you did? Might that decrease the number of day-to-day pricing issues you’re being asked to resolve? 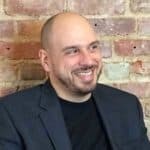 Technical Questions – What if both your customers and your sales teams were more aware of the features, benefits, and applications of your products? Might that decrease the number of day-to-day technical questions you’re being asked to address? Sales Support Issues – What if your sales force was better educated on the value propositions of your products and services? Might that decrease the number of day-to-day support issues you’re required to be involved in? 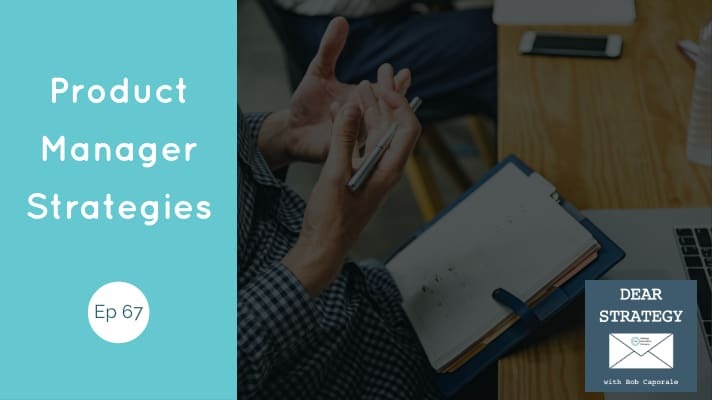 Quality and Delivery Issues – What if your operations teams understood the strategy behind your product and understood how the manufacturing process contributed to that strategy? Might that decrease the number of day-to-day quality and delivery issues that arise? Questions from Your Boss – What if your executives clearly understood the strategy for your product line and were being proactively informed on how your business was tracking against your plan? Might that decrease the number of day-to-day fire drills that are originating from your management team? None of this is to say that any amount of planning is going to make all of these requests go away completely. But I can almost guarantee that having a clearly communicated product strategy will decrease your reactive load by some very significant percentage, thereby allowing you more time to plan, thereby reducing the amount of fire-fighting you’re doing, thereby allowing you more time to plan, and so on down the line. Until, before you know it, you’re in the strategic role that you’ve always wanted to be in; and you’re training for that CEO role that you’ve always wanted to have. So, the best strategy I can give you if you are a product manager is to make time for the plan. And then the plan will naturally make more time for you.